On Sunday, a spokesperson for Hacienda Healthcare said that the Board of Directors has hired former county attorney Rick Romley to lead an internal investigation. Two staff members of a Phoenix health facility that is already under investigation are on leave after patient came forward alleging assault. 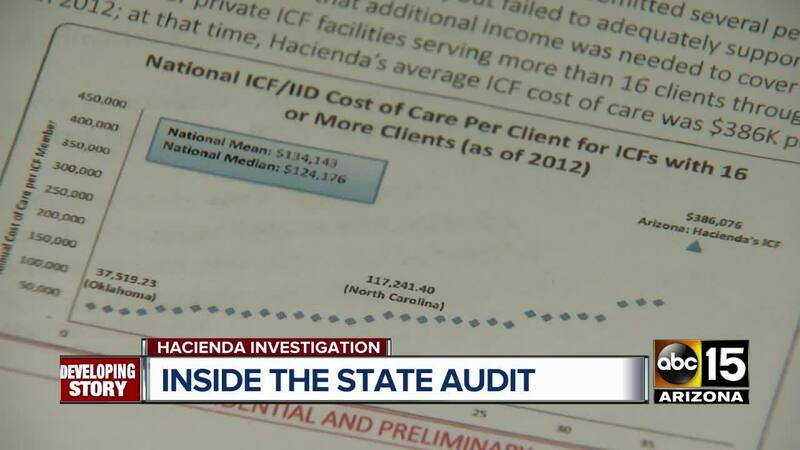 According to a statement from Hacienda Healthcare, a survey of the ICF-ID unit was conducted Thursday by federal and state auditors. A patient who suffers from a “serious intellectual disability” reportedly said she was abused by two female staffers, a registered nurse and certified caregiver. She said she was yelled at by staff members and struck in the head and arm. Hacienda leadership reportedly called police immediately about the report and alerted the patient’s legal guardian. The staffers who the allegations were made against were immediately placed on administrative leave pending investigation. Both of the staffers reportedly have clean records. No signs of abuse or injury were found during a medical exam. This week, Former Maricopa County Attorney Rick Romley announced he is leading an internal review of Hacienda Healthcare after a patient in a vegetative state gave birth to a baby last month .